When Tony Sellers came to visit his mother Sadie at her care home in Londonderry, she was nowhere to be found. 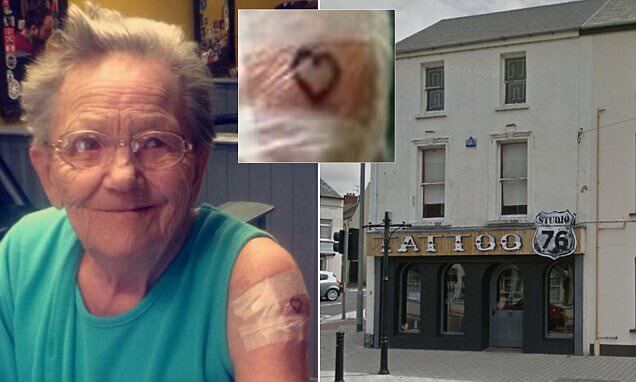 The 79-year-old left the Daleview House and her wheelchair behind and went to get her first tattoo without telling anyone! 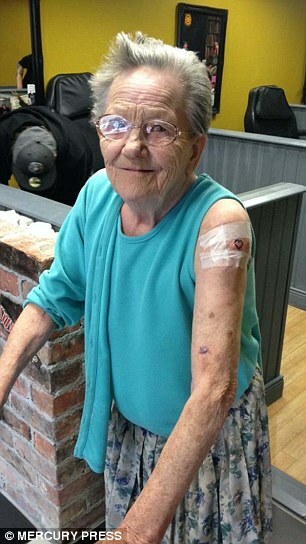 The retired civil servant decided on an outline of a heart on her left arm, which she got at Tattoo Studio 76, while her 22-year-old granddaughter Samantha kept her company. When she was asked what her family would think of her very first tattoo, Sadie said she doesn’t care. The grandmother-of-11 said that when you get to her age, you need to live life to the full every day. 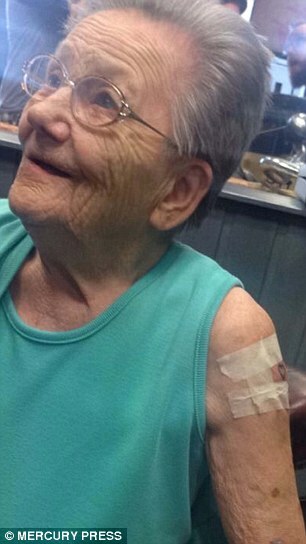 Sadie talked to her granddaughter about getting a tattoo for weeks, and one day she just decided to do it. When it comes to her experience at the tattoo studio, Ms Sellers said that she asked the artist how long it would take and he said it had finished five minutes ago. 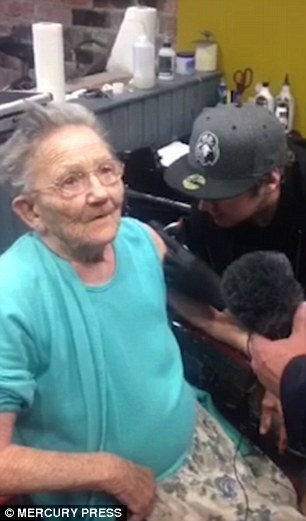 The rebellious grandma explained that she didn’t feel anything. Sadie’s son searched the care home for his mother, and then he finally called his daughter Samantha, who told him that granny was with her. The 57-year-old truck driver stopped by the tattoo studio, and when he walked in, he saw his mother getting her first tattoo, surrounded by big guys in their 20s, who thought she was a fantastic lady.